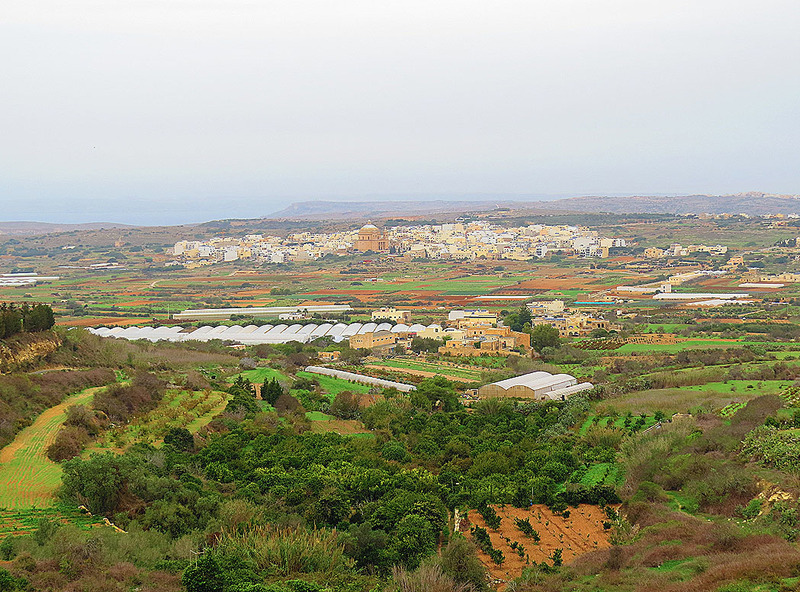 On a stretch of the road from Rabat to Mgarr is straddled the tiny hamlet of Bingemma. The hamlet is not much to look at although the setting on the brow of a hill is a pleasant one. A row of houses and farms is strung out along one side of the road with an open space on the road’s other side which appears to serve as this rural community’s common parking lot… and that’s about it. 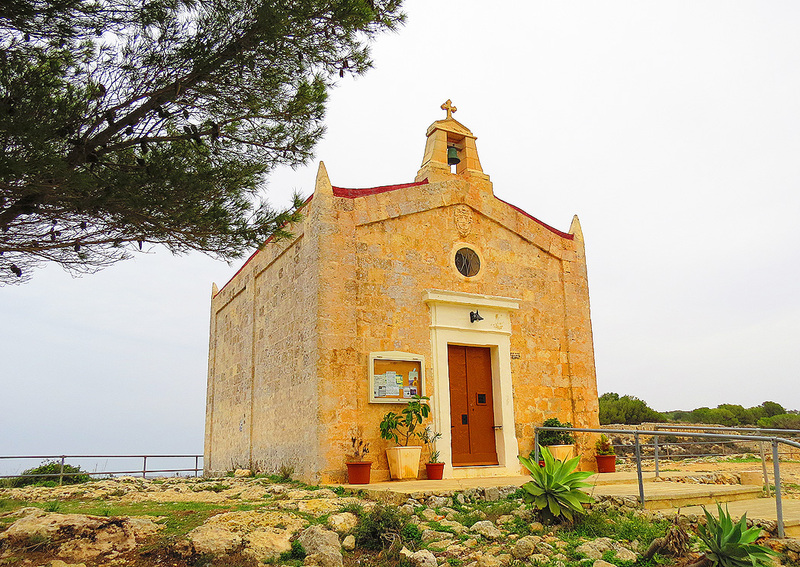 But Bingemma’s real interest lies a couple of hundred metres further up the road where an old chapel sits at the edge of the ridge on a natural geographic fault in the land that makes for one of the best views on the island – with the plain stretching to Mgarr and beyond in the distance. The chapel is appropriately dedicated to Our Lady of the Way and was constructed in 1671 by one Baron Stanislaw Xara, whose coat of arms appears above the chapel’s doorway. The chapel is still in use today, catering for the small community’s needs. The ravine just below the chapel has more of interest. The steep, rocky sides of the valley here contain a large number of hewn out tombs. The tombs are thought to date from either Phoenician or Punico-Roman times and constitute the largest prehistoric necropolis in the islands. 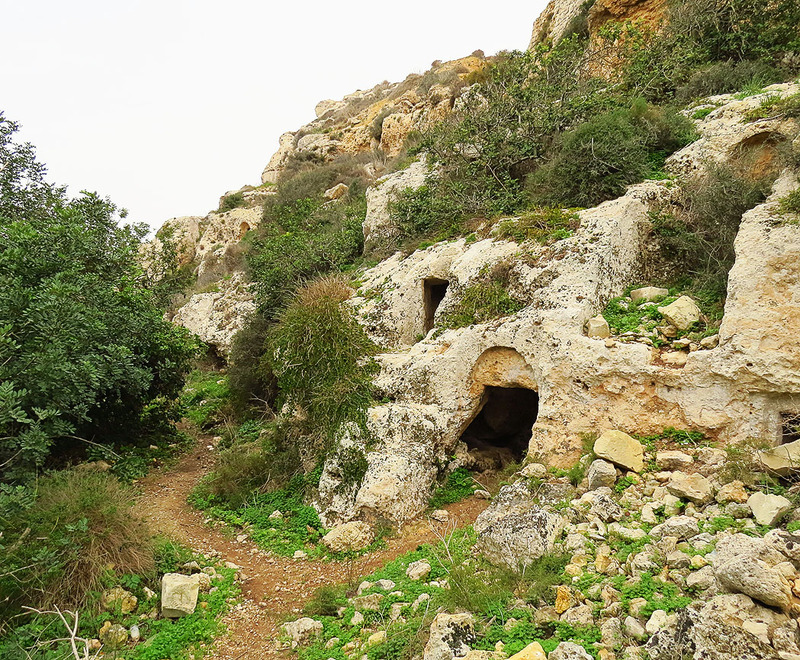 It is likely that the tombs later served for human and animal habitation for a troglodyte community in the area. There is a track next to the chapel that leads down to the valley bed where these very atmospheric tomb-caves can be explored at close range. Just next to the caves and impossible to miss is one of the finest sections of the Victoria Lines where a large defensive wall blocks access to the otherwise easily accessible upper part of the valley. The Victoria Lines were built by the British in the late 19th century as a way to protect the important harbour conurbations and their military installations against any possible invasion from the north. The Lines comprise a wall 12 kilometres in length which broadly follows the natural geographic fault referred to above. In retrospect the wall was quite a magnificent piece of grand folly – rapid military developments practically made the wall’s raison d’être redundant even before it was completed! The wall remains a historical curiosity of quite some interest though. Another path close to the chapel gives access to the wall and further exploration. 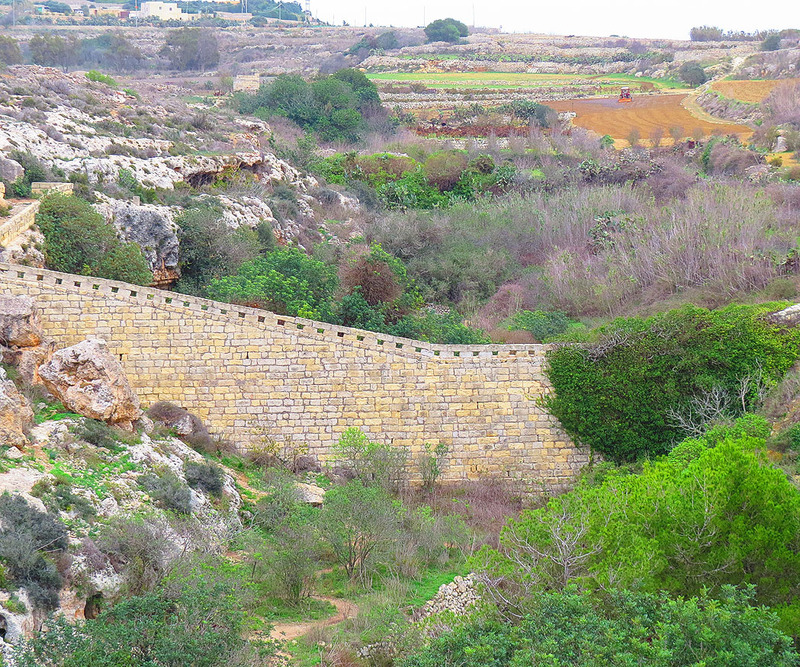 The wall also provides walking opportunities with great views over the north of the island. This magical spot with its various natural and historical features invites you to linger and time spent here is definitely time well spent. Bingemma can be reached rom either Rabat or Mgarr – a distance of some two miles from either direction. There is no bus service that serves the community. My compliments and thanks for a fine feature with fabulous images. I chanced upon one of the hidden gems of wonderful Malta whilst walking the Vicoria Lines and am thrilled to be reminded of the moment.